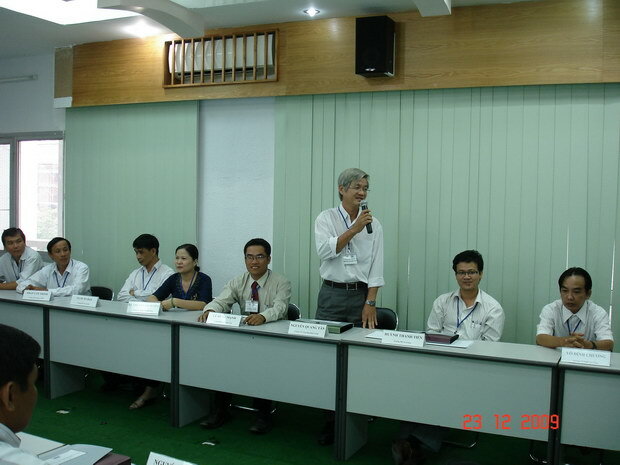 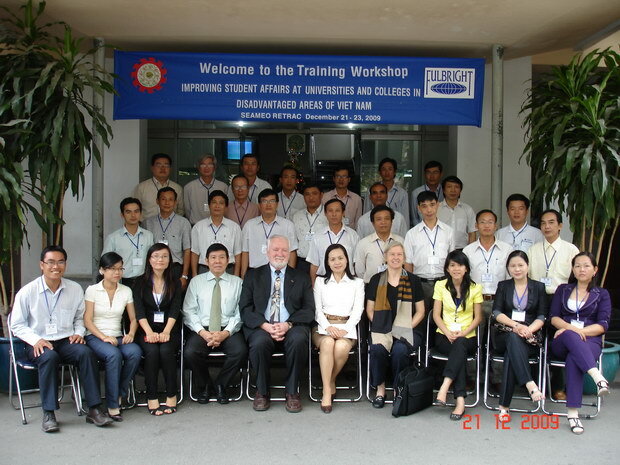 SEAMEO RETRAC with the sponsorship of the Fulbright Alumni organized a training workshop on “Improving student affairs at universities and colleges in disadvantaged areas of Vietnam: Best practices learned from universities in the United States” from December 21-23, 2009. 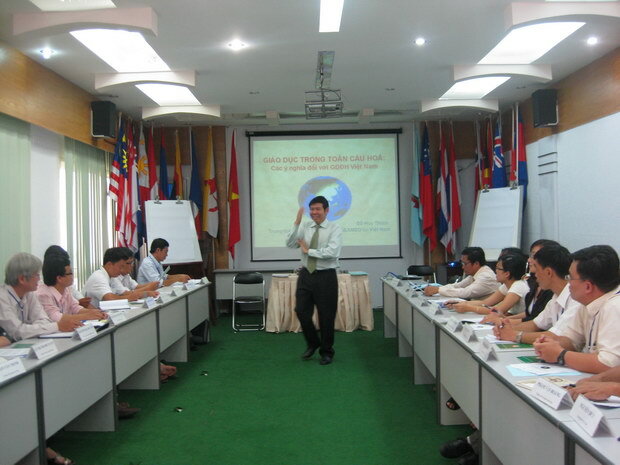 Thirty specialists and deputy heads and heads of student affairs in the southern universities and colleges, mostly from the Mekong Delta, participated in the training. 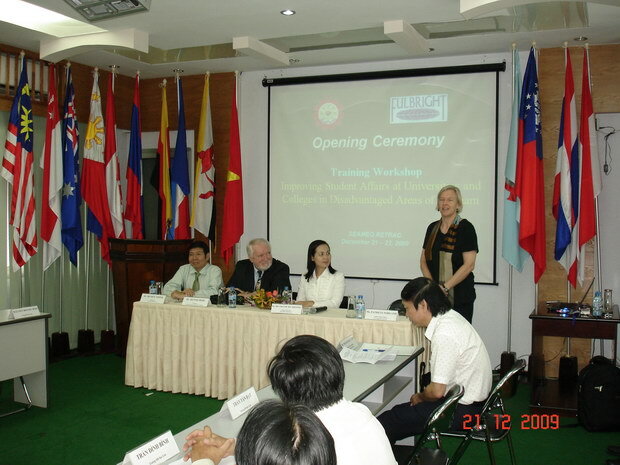 The topics of the workshop included the impact of globalization on students at universities, and in providing counseling, career coaching, and mentoring, personal and emotional support. 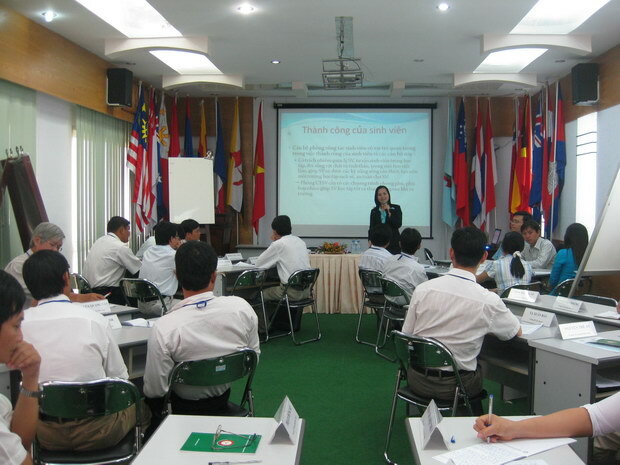 The participants were provided with updated knowledge and practices and introduced to new perspectives toward student affairs and services in higher education. 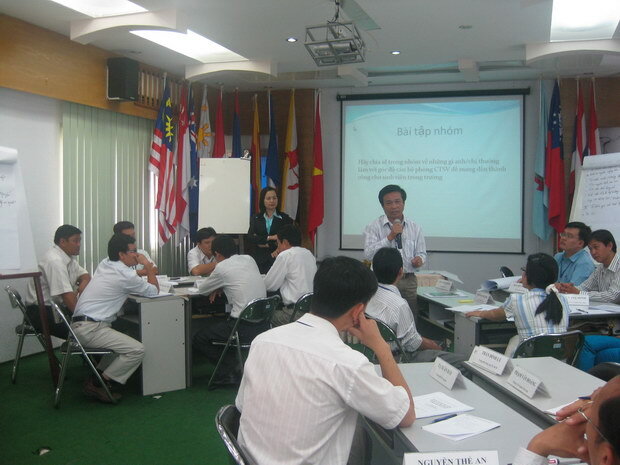 Also, thanks to the workshop, the participants were given opportunities to share the challenges facing their work as well as the successes achieved at their own institutions. 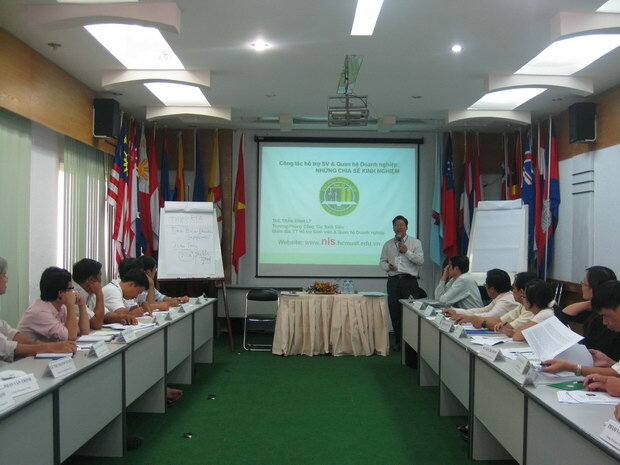 In addition, this training workshop has also helped to expand linkages among participating institutions.